Portencross (also known under many variants of that name) was once a harbour of some importance. 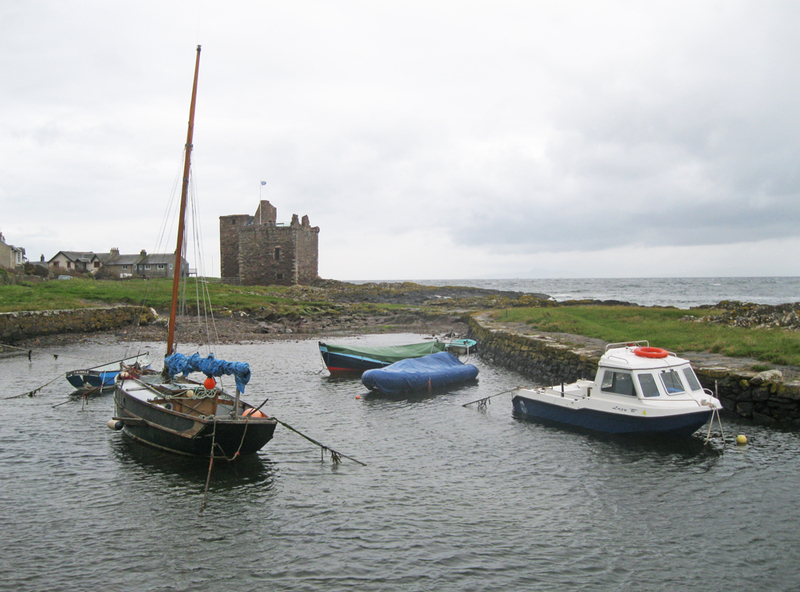 Arnele Castle (and its successor Portencross Castle) was the focal point of this harbour and hamlet at Farland Head, overlooking the Firth of Clyde. Rich in history, Portencross is reputed to have been the last mainland resting place for bodies of the former Scottish Kings from Kenneth MacAlpine to Malcolm Canmore, before they were ferried to the island of Iona for burial. The harbour was once an important ferry port for access to Rothesay Castle and to the royal deer park on Little Cumbrae. A few small boats are currently the harbour, which largely dries out at low water.